For questions regarding planning and budgeting, please contact Miguel Ramos, Interim Associate Vice Chancellor/Associate Provost, Institutional Planning and Analysis at maramos3@central.uh.edu. 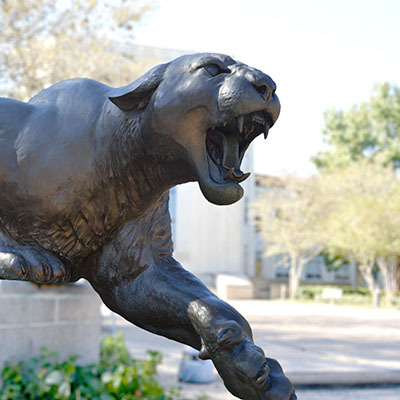 Planning and budgeting is the process through which the University of Houston invests resources on an annual basis to accomplish its mission and goals. Every spring, the UH colleges submit plans and budgets for the upcoming academic year to the Provost, who, after hearings and extensive discussions with the deans, determines how resources will be invested. Decisions are based, in part, on the colleges' progress cards – annual performance reports that measure achievement on key measures related to the university’s goals (in particular, student success and national competitiveness). Resources pertaining to the planning and budgeting process for the current year and the upcoming year can be found here. Academic Affairs planning for fiscal year 2016 will begin in January 2015. Documents related to the planning process will be posted as they are available. Select from the documents below to learn more about the University of Houston’s current initiatives and goals. Academic Affairs planning for fiscal year 2013 will begin in January 2012. Documents related to the planning process will be posted as they are available. University of Houston and UH Academic Affairs planning and budgeting for fiscal year 2012 is complete. Documents related to this process are available through the links below. Development of the fiscal year 2012 plan and budget for University of Houston Academic Affairs is a comprehensive process that includes faculty, chairs, deans and university administration. Each college prepares a plan as outlined by the Provost, which is reviewed at a budget hearing. The division budget plan is then presented to the President.